The headquarters of America's biggest selling newspaper, the Daily News Building opened in the summer of 1930. 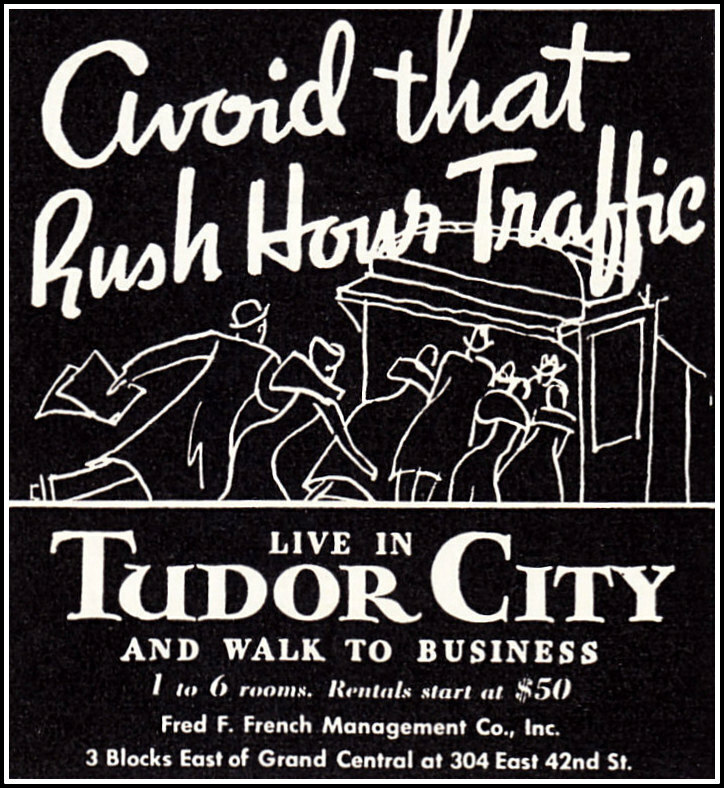 Tudor City's ad agency, sensing lots of potential business, sprang into action. 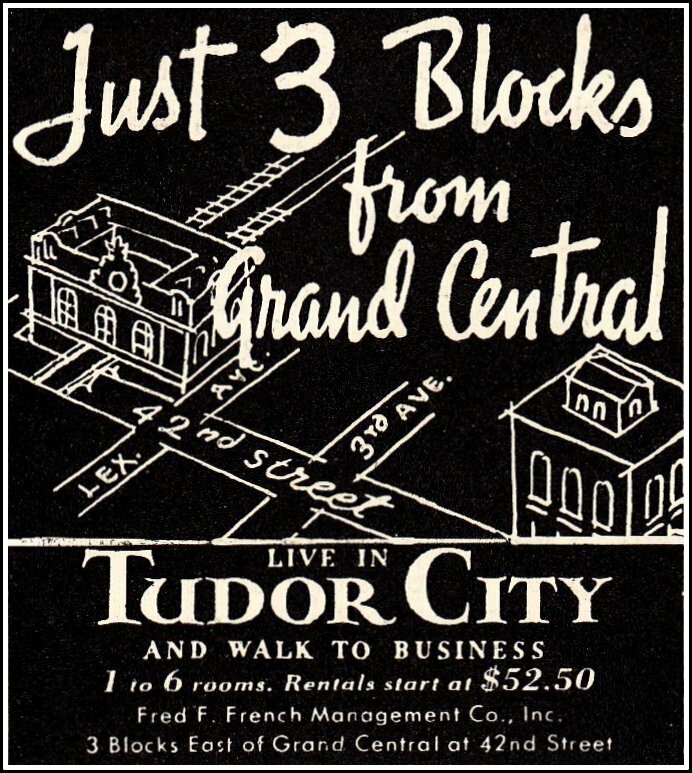 Travel time from Tudor City to the News Building is "almost a matter of seconds ‒ two blocks. 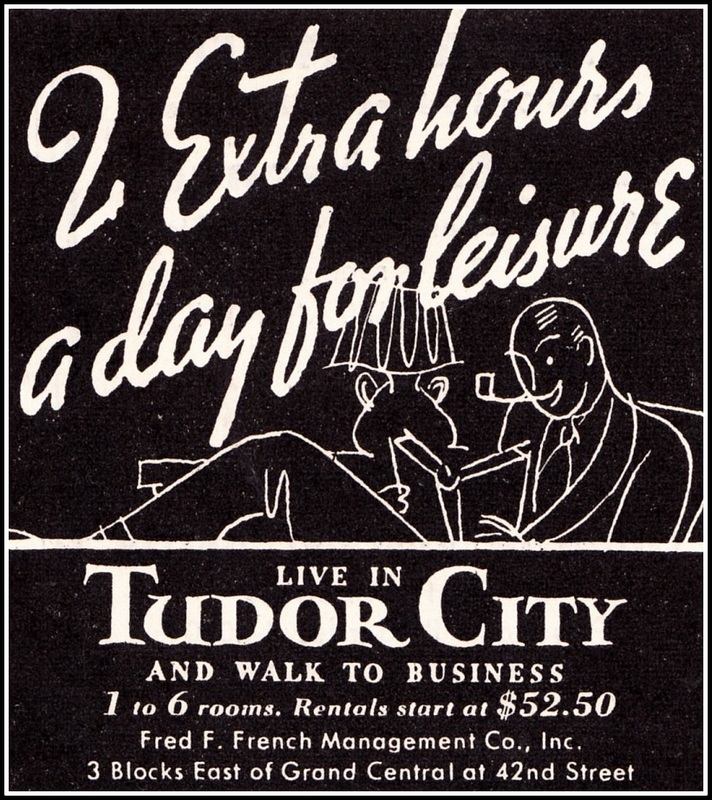 You can go home for luncheon ‒ you can be playing golf in the evening by the time everyone else is putting his nickel in the subway slot." 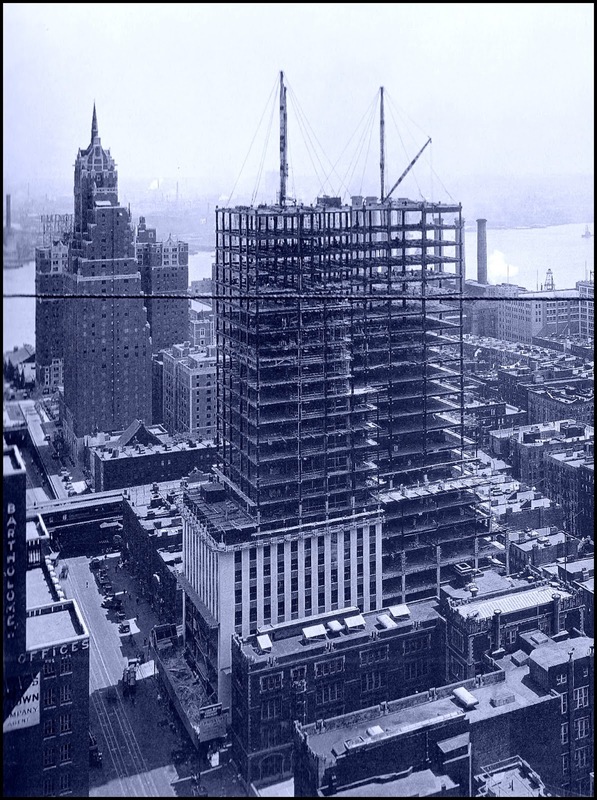 The News Building rising, 1929. 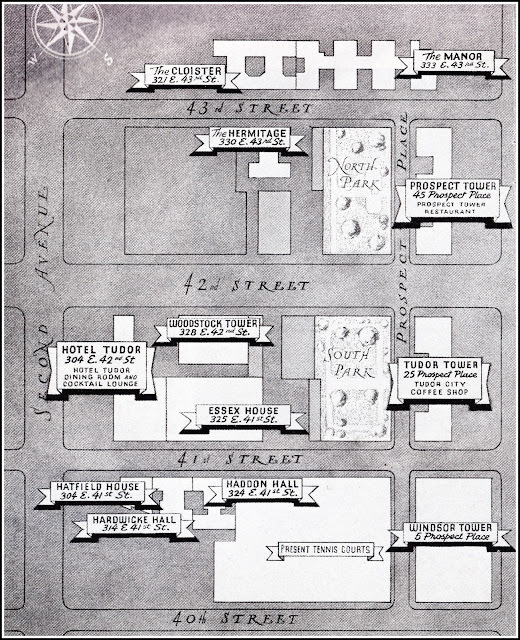 The Woodstock at upper left. 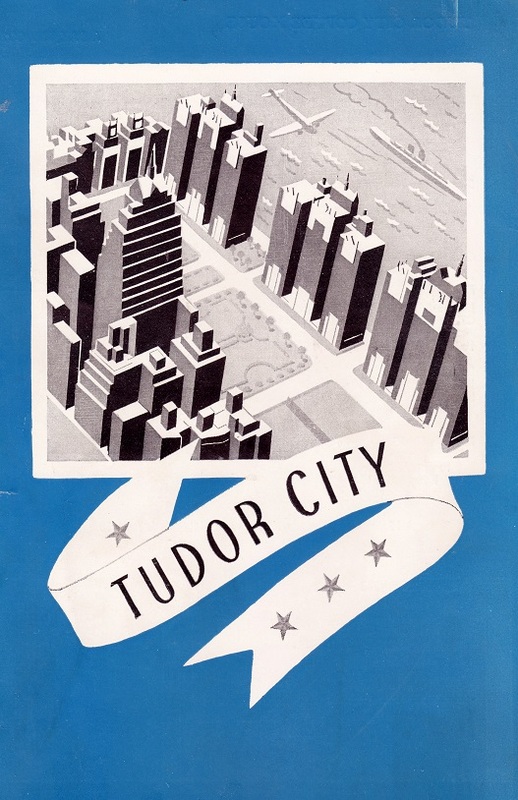 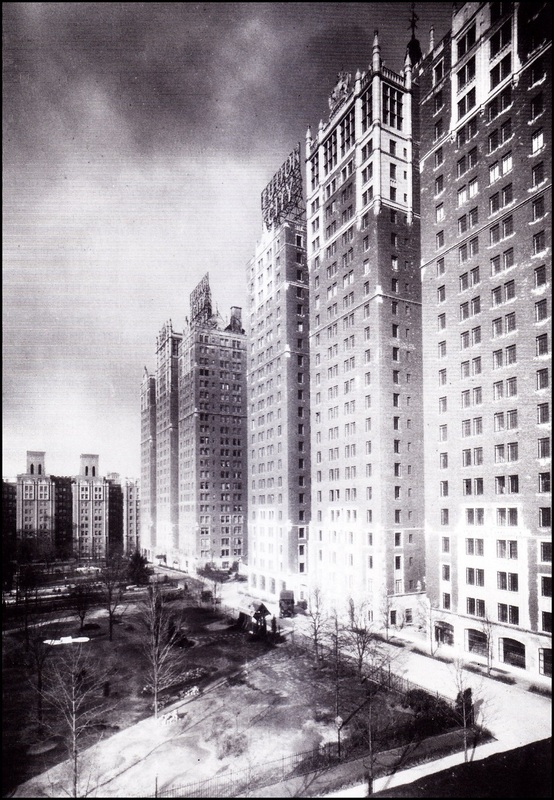 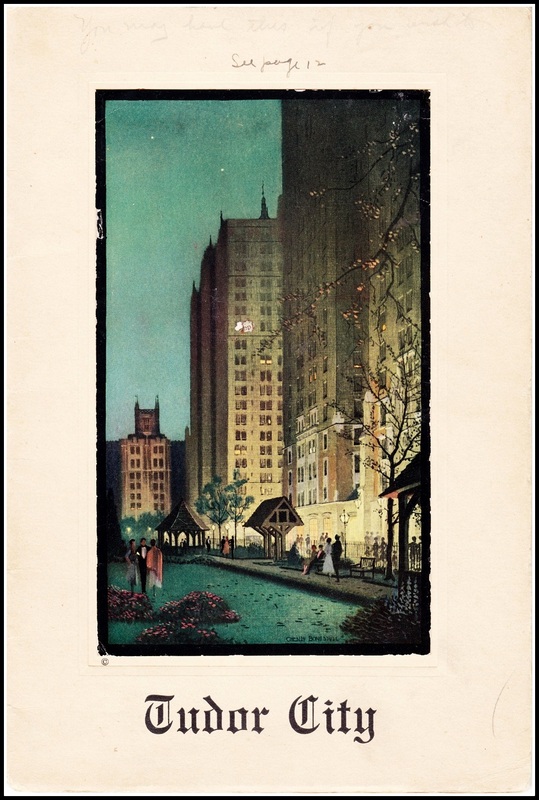 Similar Tudor City ads were targeted to tenants of the Chrysler Building (here) and the Lincoln Building (here).